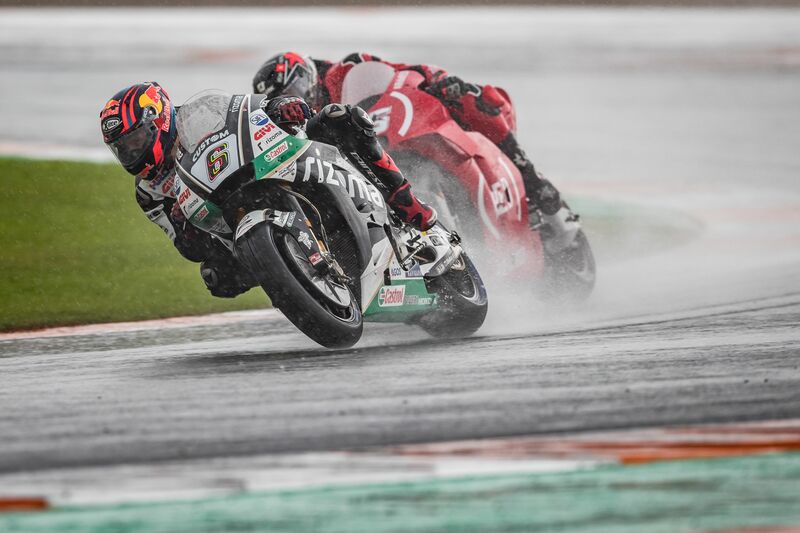 Stefan Bradl ensured the LCR Honda CASTROL Team enjoyed a fine finish to the 2018 season as he claimed a top-10 finish at the Valencia Grand Prix on Sunday. With team-mate Takaaki Nakagami ending as top independent rider in sixth, the German took ninth position after a hectic but thrilling two-part race in soaking conditions in south-east Spain. With the initial race red-flagged at the start of lap 16 after heavy rain waterlogged the Ricardo Tormo Circuit, a second 14-lap contest was held. Bradl – who is deputising for the injured Cal Cructhlow – showed great concentration to battle through to the chequered flag inside the top 10, ahead of the likes of Jorge Lorenzo and Valentino Rossi.